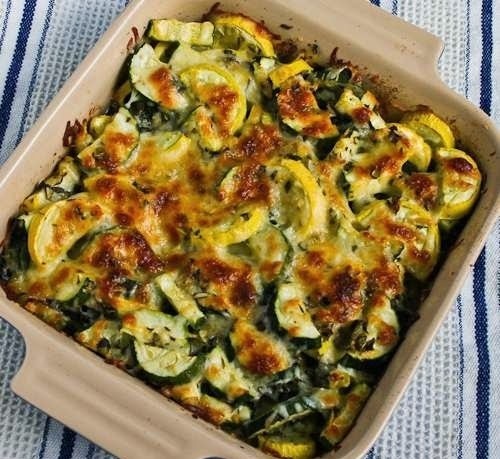 Enjoy this quick, healthy, and delicious zucchini casserole! In a 9” x 13” casserole dish put 1/2 stuffing mix on bottom. Mix zucchini with separate bowl mixture carefully. Spoon into casserole and put rest of stuffing mix on top. Bake at 325 degrees for approximately 45 minutes.